October 3, 2008: President Bush signed into law the $700 billion T.A.R.P. bailout of the financial sector. October 3, 2011: A call to commercial prayer rang out, and a group of artists worshipped in the streets of lower Manhattan. 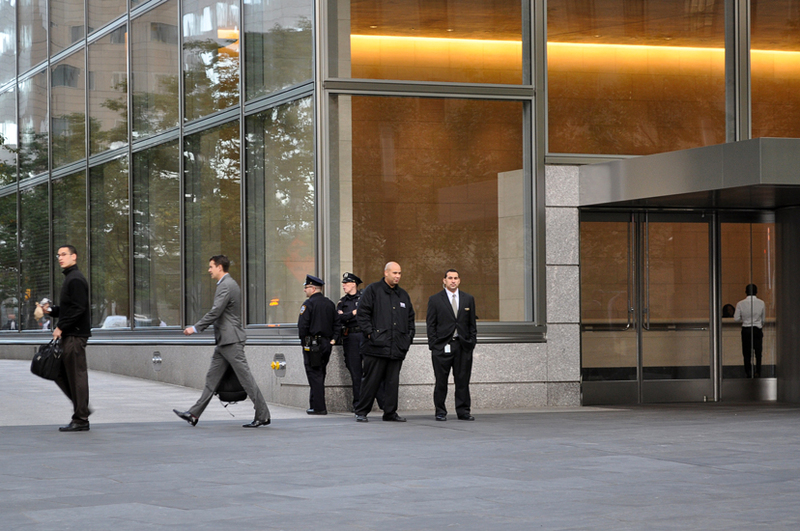 As the bankers of Goldman Sachs arrived at work, we lined the path in front of the Goldman tower. Current financial news was sung in the manner of the Islamic Adhan, and we bowed to these titans of finance as they entered their hallowed headquarters, carrying on their sacred work.